Did you know that there is a satellite that circles our planet and is set to crash-land on Earth in 8 million years? Its mission may surprise you. NASA has made a satellites called LAGEOS or Laser Geodynamics Satellites, which are mainly scientific satellites that study our planet. The LAGEOS satellite circles our planet so that it can be communicated from several ground stations around the world. LAGEOS design is beautiful. 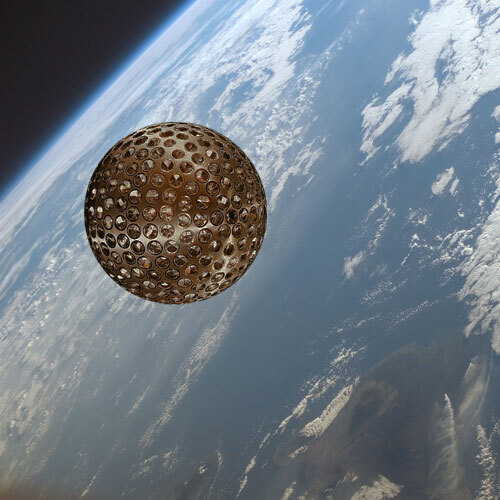 The spacecraft is made of aluminum-covered brass spheres with a diameter of 60 cm, the satellite is enclosed in 426 cube-corner retroreflectors which makes the Satellite look exactly like a giant golf ball. LAGEOS does not have any board sensors or electronics, and are not attitude-controlled. Its primary mission is not that of carrying a message to the future populations of our planet, but rather studying and monitoring its development. The main objective of the satellites is to precisely measure the satellites position in respect to our planet, determine Earth’s shape and study the tectonic movements which are associated with continental drift. The ground stations that are looking out for LAGEOS are in USA, China, France, Poland, Italy, Japan, Australia, Mexico and Peru. But what makes this satellite so important? Well, the satellite is set to crash-land on our planet in 8 million years, carrying a particular message to anyone that will inhabit our planet in the distant future. 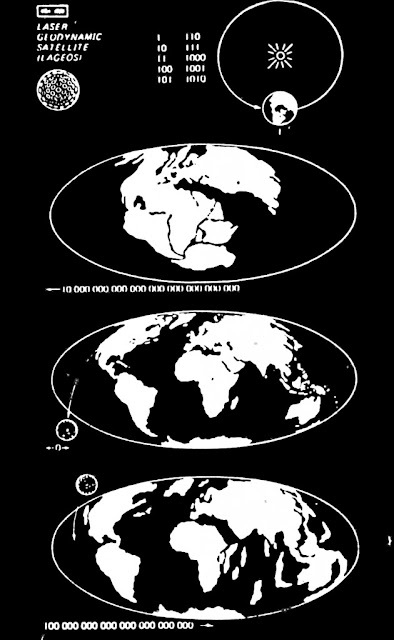 The message carried by LAGEOS are three different maps of Earth: One that is 268 million years old, one showing how Earth appears like today and another map will show how the planet will look like in the future. But who will live on our planet in 8 million years? Humans? Aliens? Or will life finish to exist on planet Earth? Picture that life “reboots” on our planet as it is assumed to have happened millions of years ago. Primitive man is inhabiting the planet and a weird sphere crash-lands on the planet. What would these “future” beings think the device is? Would they associate the LAGEOS satellite to celestial deities and gods? Maybe like our ancestors did thousands of years ago. If we have placed such a device into orbit about our planet, would it be weird if another species had done the same? And is it likely that there is written proof of such devices in ancient texts and depictions discovered around the world?